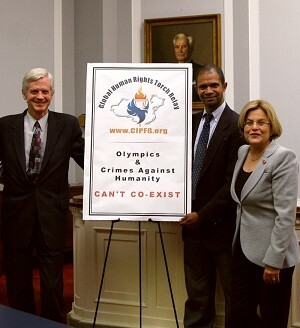 WASHINGTON, D.C.—In the afternoon of Sept. 20, 2007, members of the U.S. Congress, Canadian, and European Parliaments attended a press conference at the Rayburn House Office Building to support China's human rights lawyer Gao Zhisheng. Attorney Gao, known as “China's Conscience” and author of A China More Just , recently wrote an open letter to members of the U.S. Congress and the Senate. In his nine-page letter, Gao included first-hand information, documented data, and evidence of Beijing's brutal suppression of human rights. Gao expressed his deep concern about the upcoming Beijing Olympics and urged the U.S. Congress to pay attention to the continuous human rights violations in China. Ileana Ros-Lehtinen, a member of the U.S. Congress and the House Foreign Affairs Committee; and David Kilgour, former Canadian Member of Parliament and Secretary of State (Asia-Pacific), were at the press conference. Edward McMillan-Scott, Vice President of the European Parliament, called into the conference to express his support for Gao. Gao said in the letter: “I have written a lot about the Falun Gong issue, as the persecution of Falun Gong is the worst disaster to human nature in this era. … Millions of people were illegally detained in countless brainwashing camps established in every corner of China by the notorious 610 Office, an agency founded to implement the persecution of Falun Gong. Such brainwashing camps require very simple admittance procedures, while the methods used to 'educate' the practitioners are shockingly cruel. In the letter, Gao cited one of his own investigations. Liu Boyang, who was 28 years old and had a medical degree, and his mother were both Falun Gong practitioners. They were tortured to death in the same building in less than 10 days after being arrested. Gao reported legally acceptable evidence that he had collected as an attorney. Gao said: “From the application to the hosting of the Olympic Games, the Chinese communist regime has treated the entire process as an important political task. Everything related to the Olympics is regarded as a political issue and a 'supreme political task' to ensure that every need of the Olympic Games is met. This is a simple and commonly recognized fact in China. 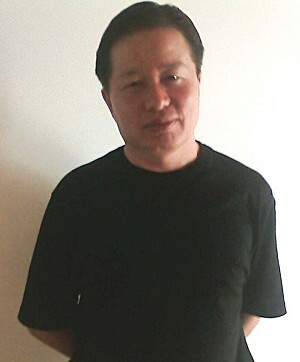 Gao also wrote in his letter: “Being Chinese, I cherish a profound love for my homeland and our suffering people. I also long to see the day when the Olympic Games are held in China. But when I remember the social environment of China, and how the Olympic Games will be used here, my conscience and sense of justice make my heart ache. “The regime in Beijing, rather than seeing the approach of the Olympics as a time for greater openness, sees it as a mandate for further control and repression of the Chinese people. Gao wrote in his letter: “When I finished this letter, I heard that President Bush had decided to join the Olympics next year. Pardon my manner here: I wanted to shout, 'Mr. President, what are you doing?! Did you not see how President Reagan handled the 1988 Seoul Olympics?' I want to remind my friends here as well; I hope my friends in Congress and in both the Senate and the House can establish merit for human civilization similar to the 1988 Seoul Olympics. “Those struggling in the CCP [Chinese Communist Party] prisons, those crying from the torture inflicted by the CCP, those in hiding to avoid mistreatment need your help. When the CCP welcomes foreign dignitaries with cannons firing, the red carpet treatment, and champagne; when the skyscrapers in Beijing and Shanghai and dazzling lights create a scene of prosperity and peace; when you light candles; when you're partying holding your cocktails or drinks, I wish you would think of those suffering people. Gao's new book, A China More Just: My Fight as a Rights Lawyer in the World's Largest Communist State , was recently published in English. In it he details his remarkable personal story, the suffering of Falun Gong and other groups, and why he went from having hope in China's legal system to completely opposing the Communist Party's regime, willing even to risk his life for justice.